Diabetes is a growing concern in the United States. According to the American Diabetes Association, there are currently 18.8 million diagnosed cases of the disease with another 7 million undiagnosed patients. What’s more, 79 million Americans have pre-diabetes and will likely develop the full condition in the near future. 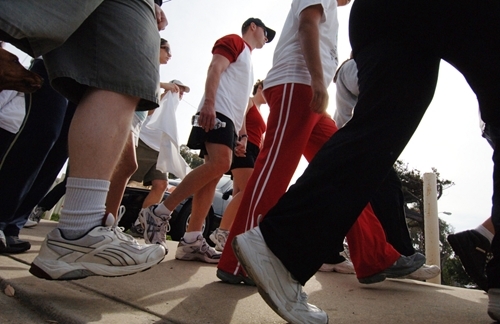 A new study shows that patients can fight this disease by taking short walks. According to HealthDay, research conducted by Loretta DiPietro, chairwoman of the George Washington University School of Public Health and Health Services, and her team has revealed that three 15-minute walks after eating is more effective that 45-minute walks for maintaining blood sugar levels. “This is among the first studies to really address the timing of the exercise with regard to its benefit for blood sugar control,” DiPietro said. The research should help consumers fight the disease by making healthy choices, such as exercising after meals instead of sitting on the couch. However, with the summer’s imminent arrival, some people might be hesitant to go for walks in the heat. Small business owners can encourage customers to go for walks by distributing logo-emblazoned water bottles during promotional giveaways. Clients may be more likely to participate in healthy activities if they can stay cool while doing so.